Most denture wearers hide the fact that they are wearing false teeth. They hide it from their friends, partners, and even children (while they are young). Why did they do such? Because of the stigma brought by many factors, some of which are true, while others simply are not. As a denture wearer myself, I always feel conscious about my dentures, especially when I was younger. I have to wear dentures after losing two teeth due to an accident. I used to always welcome people with a big smile. But after having dentures, that rarely happens. I even tend to avoid gatherings where there will be big talks and feast for fear of my dentures slipping while eating or talking. When I was starting to date my now husband, I would avoid any intimate moment for fear that he’ll find out I got dentures. The shame brought by wearing dentures caused me to withdraw from people. The fears that are going on in my mind affected my life negatively. As young as 10 years old, I already had dentures which are supposed to be for grannies. I was afraid that my friends might think that I was not practicing proper hygiene. That I don’t brush my teeth before I go to sleep that’s why I lost them. I thought it would be better not to let my friends notice, so I avoid talking to them. The once bubbly and active me was gone. Inside the classroom, I would avoid recitations, and so my grades suffered. I even would refrain from joining some activities as long as I can avoid it. 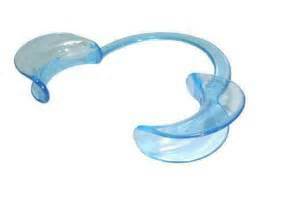 I often heard older people around me saying that wearing dentures makes your breath to smell nasty. And I don’t want my classmates to talk behind my back saying such things. When I was looking for a job, I would be timid during interviews. I would answer my interviewer with short responses and was anxious to smile for fear that my dentures would fall off. I lost many opportunities because of my dentures. I know I could have done better if I have real teeth. Despite my timidity, someone still noticed me and pursued me to be in a relationship with him. Things weren’t easy at first. I would often avoid close contact and intimate moments. I would feel anxious whenever we go on a date. He thought I was just conservative. But when he proposed to me, that’s the time I told him, “I got dentures!” And then I covered my face out of shame. Revealing such a secret isn’t easy to do. I thought about it for days, but I have to be honest with him. If he won’t like it, then there’s nothing I could do. But do you know what his reaction is? These are the first words of relief I heard from the moment I had my dentures on. I was afraid for nothing. I feel inferior for nothing. When I got home, I looked at myself in the mirror. The longest gaze I made at myself for a very long time. That was when I realized that, in fact, I still have my sweet smile behind these dentures. The stigma that was in my mind all these years are just fears I made on my own. There are a lot of things in this world that initially don’t seem to match up but apparently has relationships. These things also happen when it comes to health issues. Recently, there have been a few types of research on the connection of one’s anxiety to oral wellness.